Invisalign is the latest in trend and is an alternative to traditional metal, braces. It uses a virtually removable invisible aligner that is uniquely customized to straighten your wire. These spare of you of pain and discomfort as there are no brackets or wires involved. Invisalign offers maximum comfort and convenience to managed crooked and misaligned teeth when compared to other treatment options. It can be used for correcting varied conditions such as underbite, crowding, crossbite, overbite, etc. 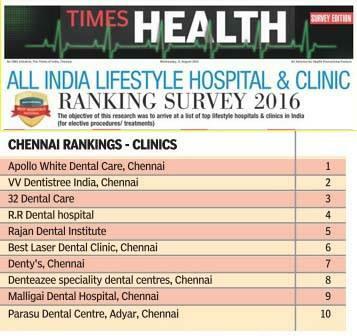 At Malligai Dental Hospital we transform your smile without having to change your lifestyle. • You can continue to eat and enjoy all types of food. • A lesser number of dental visits required. • Maintaining oral hygiene would be difficult and requires specialized brushing and flossing efforts. • Restrictions on eating certain types of food. Invisalign is a type of visible aligner system which assists for your smile correction. You might wonder how such a simple tray can cause tooth movement. Well, the answer is that the tray is made of a thermoplastic resin that exerts a continuous force on your teeth to help in alignment. Your doctor will take some teeth impressions with x rays and photographs and send it to the Invisalign lab for fabrication. A three-dimensional model is created after scanning your impression; the teeth are digitally moved into the desired position virtually as mentioned by your dentist in the treatment plan. This gradual movement from start to finish is made into an animated film called a CLIN CHECK video. This video will be shown to you, and then you can decide whether to want to pursue the treatment or change the treatment course. Once you approve of this treatment plan Invisalign starts manufacturing the aligners using CAD/ CAM technology. Aligners are fabricated in a couple of days and treatment can be started. You will start with the initial aligner and can change the aligner once in 2 weeks. What is the advantage of Invisalign over other Orthodontic solutions? One of the main disadvantages of conventional orthodontic treatment is its conspicuousness. Most adults have job restraints and social situations like weddings etc. which makes them reevaluate enduring fixed orthodontic treatment. This is where Invisalign has a huge benefit because it assures to straighten your teeth without disturbing your life. The clear plastic trays are almost invisible when compared to the metal brackets. They do not affect your speech and are extremely comfortable to wear. Invisalign aren’t fixed onto your teeth, and this is yet another bonus as you will not have any diet restrictions and added the advantage of easy oral hygiene maintenance. Invisalign can be universally practiced on most adults and teenagers to align teeth except on certain conditions. These conditions comprise of the closure of extraction space, teeth with poor bone levels, etc. These situations require precise control over the movement of the tooth which is hard to attain with a removable aligner. Such conditions are best managed with fixed orthodontic treatment or a partially fixed procedure along with Invisalign. Also, patient obedience is of topmost importance in obtaining positive results with Invisalign, and if you think you are not responsible enough managing with removable aligners we advise you go for fixed braces management. Like any other traditional orthodontic treatment, the essential part of receiving an Invisalign procedure is proper diagnosis and treatment planning. The aligners are fabricated by the lab as instructed by the dentist. It is important to choose a doctor appropriate for you with the utmost confidence and trust. What can I expect on my first visit of Invisalign? The first appointment is a consultation appointment which involves a thorough examination, and also other diagnostic records such as X rays, study models, and photographs. After careful analysis of these records, a treatment plan is devised which is best suited for you. If you are an ideal case for treatment with Invisalign the next appointment will be arranged to take the Final impressions and bite registrations which are then directed to Invisalign. Unlike conventional orthodontic treatment where an appointment is scheduled every 4-6 weeks for adjustments, in Invisalign management, your appointments will be fixed according to your treatment plan. An earlier appointment is required in case if Interproximal reductions or attachments are necessary. Aligners are required to be worn for a minimum of 22 hours for two weeks before shifting to the next aligner. You need not wear your aligners while eating or drinking anything colored. Invisalign is an incredibly comfortable way to align your teeth as there are no metal brackets or wires involved. I have missing teeth, can I still get Invisalign? Yes, you can even get Invisalign treatment if you have missing tooth/teeth. The plan involves the closure of the extraction space or placing dental implants or bridges in future. The best thing is that we attach a tooth-colored coating on your aligner to conceal the missing tooth space, so there are no noticeable gaps during your treatment. The complexity of the case determines the charges for Invisalign, an easy case will require fewer aligners and adjustments and hence cost much lesser than a more complicated case. The charges also vary from country to country. • Will my eating patterns be affected by this Invisalign?